Welcome to the latest installment of the Mayor's Weekly Briefing, which contains a recap of events and news happening around town, upcoming events and community activities. I hope you'll join us at these events, sign up to receive e-mail updates, and follow us on Facebook and Twitter. On Monday night, the members of Council and I were proud to honor the Cherry Hill East Boys Basketball Team, which made its way to the State Title game this year for the first time in the program's history. The Cougars finished the season with a 26-6 record and were South Jersey champions for a second consecutive year. We were also thrilled to recognize senior Point Guard Jake Silpe, a team captain, South Jersey Player of the Year and East's second all-time leading scorer, for a remarkable career, and to wish him well as he prepares to graduate from East and continue his studies - and his basketball career - at the University of Pennsylvania. Congratulations to Coach Dave Allen and the entire team on a great season. We hope to see more of the same next year! Council and I were also pleased to recognize the members of this year's Cherry Hill East Chess Team, who recently completed their second consecutive undefeated season and were crowned South Jersey High School Chess League champions for 2015. Please join me in congratulating to Coach Gregory Rouen and players Max DuBoff, Maryia Oreshko, Shrihari Shankar Ed Shu and Yoni Weiss. Thank you for your hard work and dedication, and for representing our community so wonderfully this past season. Members of Philadelphia Orchestra and the Philly Pops will bring the Music of the Beatles and others to the Croft Farm Arts Center at 3 p.m. Sunday, March 29. Part of the Cherry Hill Ensemble Series at Croft Farm, these world-class musicians, including Cellist Robert Cafaro, will take you on a trip down memory lane with their classic twists on popular fan favorites. Doors open at 2:30 p.m. Tickets are $15 ($12 with a senior Gold Card; $5 for children under 12 or students with ID); reserve them today by calling (856) 488-7868, or by e-mailing Arts@chtownship.com. Click here for more information. The Department of Public Works continues to work all day, every day to combat potholes on local roads in the wake of another cold, snowy winter. However, with 260 miles of municipal roads under Cherry Hill's jurisdiction, residents often serve as our first line of defense in identifying areas that have been particularly hard-hit by the elements. If you spot a pothole, please report it online, 24/7, by clicking here, or by calling Public Works directly, Monday through Friday, at (856) 424-4422. Along with the Township's annual Road Maintenance Program, our Microsurfacing program, and intermittent repairs made by Public Works, our pothole patrol is part of a comprehensive effort by my administration to keep our local roadways safe and smooth. Click here to learn more. Donate your RecycleBank points to help Cooper Elementary win $2,500! Cooper Elementary School is just $233 shy of its $2,500 fundraising goal in RecycleBank's Green School's contest. You can help push them over the top by donating your unused RecycleBank points online today. Thanks to the generosity of our community, Cherry Hill East, Beck, Barton, Bret Harte and Kilmer have already met their goals. Let's help our schools go 6-for-6, and support environmental education in the process! Contest ends March 31. To read about Cooper's "Waste-less Wednesdays" project proposal, visit www.RecycleBank.com/contest. The Cherry Hill Recreation Department will host the Township's first-ever Comedy Night at Croft Farm, featuring America's Got Talent finalist and Cherry Hill native Joe Matarese, from 7-9 p.m. Saturday, May 9 at the Croft Farm Arts Center. Enjoy a night of comedy, food and drinks. Tickets are $25 in advance, or $30 at the door, and will include light fare and 2 drinks per person. Open to adults ages 21 and up. Food and drink provided by Kaminski's Sports Bar & Restaurant. For more information or to purchase tickets, call (856) 488-7868, or e-mail Arts@chtownship.com. During the month of March, the Cherry Hill Public Library is teaming up with local non-profit Distributing Dignity to collect feminine hygiene products and new bras to help women in need. Donations can be brought to any library program, event or class or can be placed in the donation box in the library’s lobby. Learn more at their website or Facebook page. Thank you for your support! Looking for something to do during spring break? Bring the whole family and join us for an hour of board game fun! Open to ages 3 and up. No registration. Learn about programs like Microsoft Excel, and free options like OpenOffice Calc and LibreOffice Calc. In Part One of this four-part series, you’ll learn how to layout your spreadsheet, keep column and row titles on the screen, perform mathematical calculations, sort data, move and copy worksheets, create forms and spreadsheet printing skills. This computer class is free. Cardholders can register online. Not a cardholder but would like to attend? Call (856) 903-1246. Too Broke to Invest? Think again! It's time for a smarter happy hour! Think you need tens of thousands of dollars to be an investor? Maybe you think you are too young to start investing. Not true! Derek Dobin of Prudential South Jersey Financial Group will discuss investing basics and how to start building wealth one dollar at a time. He’ll also cover misconceptions about investing, alternative forms of investing (other than your 401k), and some pitfalls, mistakes and scams to watch out for. Click here to register online or call (856) 903-1207 for more information. The Shore is synonymous with the New Jersey, but there is so much to see and do beyond the beach and boardwalk! Phyllis Oppenheimer from the New Jersey State Travel and Tourism Division will help us discover some of the top destinations across the Garden State. From arts and culture to the great outdoors, and lots of family friendly locations too, you’ll be looking forward to your next free day to hop in the car and experience all New Jersey has to offer! Jake Buganski, Executive Director of Visit South Jersey will also be on hand to highlight the South Jersey Wine Region. He’ll touch on popular destinations such as the Cape May Wine Trail to hidden gems like Salem Oak Vineyards. Free and open to the public. Click here to register and you’ll receive a free NJ travel guide and other goodies at the event! Attention book lovers! The Friends of the Cherry Hill Public Library are inviting members of the community to a public meeting at 7 p.m. Wednesday, April 15, to learn more about who the Friends are, the wonderful things they do for the Library, and what they can do for you. The Cherry Hill Library is about so much more than just books; join the Friends in the lower-level Conference Room on April 15 to learn more about the organization that supports so many of the library's programs and endeavors. For more information, contact Diane Alessi, (856) 296-0809. The Cherry Hill Recreation Department cordially invites you to a Mad Hatter Tea Party, from 2 to 4 p.m. Sunday, April 26, at Barclay Farmstead (206 Barclay Lane). Enjoy an afternoon of lawn games, refreshments, crafts and, of course, tea! Dress to impress the Queen; you decide if your hat is silly or fancy. Please bring your favorite tea cup. Don't be late for this very important date! Event is open to children ages 5-12 years. Tickets are $15 for 2; $5 each additional person. Please RSVP today to reserve your seat by calling (856) 488-7868. Click here for photos of last year's event. Cherry Hill and Camden County have partnered to offer free Chair Yoga and Meditation classes for Township residents ages 55 and up. These classes are designed to help incorporate healthy activities into your day, and are open to seniors of all experience levels. Chair Yoga will take place from 1-2 p.m. Wednesday, April 8 and 22, and again on Wednesday, May 6 and 20. Meditation classes are 1-2 p.m. Wednesday, April 1, 15, 29, and May 13 and 27. Both programs will take place in the N. John Amato Council Chambers (Room 208) at the Municipal Building, 820 Mercer St. Class size is limited; for more information or to sign up, call (856) 488-7868, or email Recreation@chtownship.com. "Grit is living life like it's a marathon, not a sprint." -- Angela Duckworth, PhD. The Cherry Hill Alliance on Alcohol & Drug Abuse and Cherry Hill Public Schools welcome renowned researcher Angela Duckworth to Cherry Hill West at 7 p.m. April 16 for a special, free discussion about "Grit" and what it takes to succeed in life. Registration is suggested, but not required. For more information or to register, call (856) 488-7889, or e-mail Alliance@chtownship.com. Click here to watch Dr. Duckworth's "True Grit" TED Talk. Click here for details about April 16. Due to overwhelming demand, tickets are sold out for the 2015 Dancing with the Cherry Hill Stars on Sunday, May 3, at Cherry Hill West. Interested individuals can click here to add their name and e-mail address to a waiting list. Even if you can't attend this year's show, you can click here to make a donation by voting online for your favorite dancing duo! Dancing with the Cherry Hill Stars is the Education Foundation's biggest annual fundraiser, and all proceeds are used to fund grant initiatives in the Cherry Hill Public Schools. Cherry Hill Township and the AARP have once again partnered to offer seniors free tax-preparation assistance from 10 a.m. to 2 p.m. every Tuesday and Friday until April 14. No appointments are necessary. All tax-prep sessions will take place in the N. John Amato Council Chambers (Room 208) at Town Hall. Electronic filing and direct deposit are available to help expedite returns. Click here for more information, or call AARP directly at (888) AARP-NOW. There are several tax deductions available for income-eligible Cherry Hill seniors. Real Estate Tax Deduction: A $250 deduction for income-eligible property owners 65 and older. Call (856) 488-7899 to learn more. Sewer Discount: Seniors who qualify for the Real Estate Tax Deduction also automatically qualify to have their Township sewer rental fee waived. All homeowners 60 and older qualify for a 10 percent discount on their Township sewer rental by showing proof of age at the Tax Collector's Office. Call (856) 488-7880 for details. Veterans Deduction: Qualified war veterans and their unmarried, surviving spouses are entitled to a $250 annual deduction from taxes due on real or personal property. Veteran must have served in active duty for surviving spouse to qualify. For more information, call (856) 488-7880. For more information on this or other senior-related issues in Cherry Hill, contact Senior Services Program Coordinator Gaye Pino at (856) 661-4800 or gpino@chtownship.com. Is your spring cleaning underway? At the Sustainable Cherry Hill Earth Festival on Saturday, April 25, you can drop off the items listed below at the Recycling Depot near the main driveway into Croft Farm. Plastic shopping bags: Recycling provided by Ravitz Market ShopRites. Gently-worn shoes: Cherry Hill Schools will donate to Soles4Souls. Rechargeable batteries: Batteries Plus of Mount Laurel will collect batteries from cordless and cell phones, toys and cordless tools; lithium batteries from laptops; wireless sensors; AA; digital camera and coin batteries. Bring your recycling and then stay to Celebrate-Learn-Grow, rain or shine, 10 a.m. to 2 p.m. at historic Croft Farm, 100 Bortons Mill Road. Click here for festival information. If you missed last week's performances of Disney’s "Mary Poppins" at Cherry Hill West, it's not too late to join in on the fun and entertainment! The show opened to rave reviews last Friday, and will continue with three final performances at 7 p.m. tonight and tomorrow (March 27-28) and at 2 p.m. on Sunday, March 29. For more information, call (856) 663-8006, ext., 1224, or click here for a poster with more information. Congratulations to the cast, crew and everyone involved on a wonderful showing so far - and good luck in your final weekend! The Cherry Hill Police Department is looking to fill several part-time/substitute vacancies within its complement of crossing guards. Substitute guards are called in as needed to fill one-hour posts in the morning or afternoon school hours at any of over 40 locations throughout the Township. Please direct all inquiries to Sgt. Glenn Charney of the Cherry Hill Police Department Traffic Safety Unit at (856) 432-8857 or gcharney@cherryhillpolice.com, or mail to the Cherry Hill Police Dept., Attn: Traffic Safety/Crossing Guards, 820 Mercer Street, Cherry Hill, NJ 08002. The Cherry Hill Fire Department is once again sponsoring its annual Cherry Hill In-Service Refresher Program for Lifeguards. This program will be held at the William G. Rohrer Center for Health Fitness, 2309 Evesham Road, Voorhees, from 6 to 8:30 p.m. Saturday, May 9 and Sunday, May 17. For details and registration information, click here. Members of Philadelphia Orchestra and the Philly Pops will bring the Music of the Beatles and others to the Croft Farm Arts Center at 3 p.m. Sunday, March 29. Part of the Cherry Hill Ensemble Series at Croft Farm, these world-class musicians, including Cellist Robert Cafaro, will take you on a trip down memory lane with their classic twists on popular fan favorites. Doors open at 2:30 p.m. Tickets are $15 ($12 with a senior Gold Card; $5 for children under 12 or students with ID); reserve them today by calling (856) 488-7868, or by e-mailing Arts@chtownship.com [mailto:] . Click here [http://cherryhillarts.blogspot.com/] for more information. The Department of Public Works continues to work all day, every day to combat potholes on local roads in the wake of another cold, snowy winter. However, with 260 miles of municipal roads under Cherry Hill's jurisdiction, residents often serve as our first line of defense in identifying areas that have been particularly hard-hit by the elements. If you spot a pothole, please report it online, 24/7, by clicking here [http://www.cherryhill-nj.com/forms.aspx?FID=86] , or by calling Public Works directly, Monday through Friday, at (856) 424-4422. Along with the Township's annual Road Maintenance Program, our Microsurfacing program, and intermittent repairs made by Public Works, our pothole patrol is part of a comprehensive effort by my administration to keep our local roadways safe and smooth. Click here [http://www.cherryhill-nj.com/CivicAlerts.aspx?AID=703] to learn more. Cooper Elementary School is just $233 shy of its $2,500 fundraising goal in RecycleBank's Green School's contest. You can help push them over the top by donating your unused RecycleBank points online today. Thanks to the generosity of our community, Cherry Hill East, Beck, Barton, Bret Harte and Kilmer have already met their goals. Let's help our schools go 6-for-6, and support environmental education in the process! Contest ends March 31. To read about Cooper's "Waste-less Wednesdays" project proposal, visit www.RecycleBank.com/contest [http://www.cherryhill-nj.com/admin/www.RecycleBank.com/contest] . The Cherry Hill Recreation Department will host the Township's first-ever Comedy Night at Croft Farm, featuring America's Got Talent finalist and Cherry Hill native Joe Matarese, from 7-9 p.m. Saturday, May 9 at the Croft Farm Arts Center. Enjoy a night of comedy, food and drinks. Tickets are $25 in advance, or $30 at the door, and will include light fare and 2 drinks per person. Open to adults ages 21 and up. Food and drink provided by Kaminski's Sports Bar & Restaurant. For more information or to purchase tickets, call (856) 488-7868, or e-mail Arts@chtownship.com [mailto:] . During the month of March, the Cherry Hill Public Library is teaming up with local non-profit Distributing Dignity to collect feminine hygiene products and new bras to help women in need. Donations can be brought to any library program, event or class or can be placed in the donation box in the library’s lobby. Learn more at their website [http://www.distributingdignity.org/] or Facebook [https://www.facebook.com/DoubleDorg?ref=br_tf] page. Thank you for your support! Learn about programs like Microsoft Excel, and free options like OpenOffice Calc and LibreOffice Calc. In Part One of this four-part series, you’ll learn how to layout your spreadsheet, keep column and row titles on the screen, perform mathematical calculations, sort data, move and copy worksheets, create forms and spreadsheet printing skills. This computer class is free. Cardholders can register online [http://host6.evanced.info/cherryhill/evanced/eventsignup.asp?ID=6411&rts=&disptype=&ret=eventcalendar.asp&pointer=&returnToSearch=νm=0&ad=&dt=mo&mo=4/1/2015&df=calendar&EventType=ALL&Lib=&AgeGroup=ALL&LangType=0&WindowMode=&noheader=&lad=&pub=1&nopub=&pa] . Not a cardholder but would like to attend? Call (856) 903-1246. It's time for a smarter happy hour! Think you need tens of thousands of dollars to be an investor? Maybe you think you are too young to start investing. Not true! Derek Dobin of Prudential South Jersey Financial Group will discuss investing basics and how to start building wealth one dollar at a time. He’ll also cover misconceptions about investing, alternative forms of investing (other than your 401k), and some pitfalls, mistakes and scams to watch out for. Click here [http://host6.evanced.info/cherryhill/evanced/eventsignup.asp?ID=6360&rts=&disptype=&ret=eventcalendar.asp&pointer=&returnToSearch=νm=0&ad=&dt=mo&mo=4/1/2015&df=calendar&EventType=ALL&Lib=&AgeGroup=ALL&LangType=0&WindowMode=&noheader=&lad=&pub=1&nopub=&pa] to register online or call (856) 903-1207 for more information. The Shore is synonymous with the New Jersey, but there is so much to see and do beyond the beach and boardwalk! Phyllis Oppenheimer from the New Jersey State Travel and Tourism Division will help us discover some of the top destinations across the Garden State. From arts and culture to the great outdoors, and lots of family friendly locations too, you’ll be looking forward to your next free day to hop in the car and experience all New Jersey has to offer! Jake Buganski, Executive Director of Visit South Jersey will also be on hand to highlight the South Jersey Wine Region. He’ll touch on popular destinations such as the Cape May Wine Trail to hidden gems like Salem Oak Vineyards. Free and open to the public. Click here [http://host6.evanced.info/cherryhill/evanced/eventsignup.asp?ID=6405&rts=&disptype=&ret=eventcalendar.asp&pointer=&returnToSearch=νm=0&ad=&dt=mo&mo=4/1/2015&df=calendar&EventType=ALL&Lib=&AgeGroup=ALL&LangType=0&WindowMode=&noheader=&lad=&pub=1&nopub=&pa] to register and you’ll receive a free NJ travel guide and other goodies at the event! This is just a snapshot of the hundreds of events, activities and cultural programs held at the Library throughout the year. Click here for a full events calendar, and visit www.chplnj.org [http://www.cherryhill-nj.com/admin/www.chplnj.org] to sign up for the library's e-newsletter, renew books, place holds, pay fines and much more. Stay connected by following the Library on Facebook, Twitter and Pinterest. For more information, call (856) 667-0300, or e-mail info@chplnj.org [mailto:info@chplnj.org] . The Cherry Hill Recreation Department cordially invites you to a Mad Hatter Tea Party, from 2 to 4 p.m. Sunday, April 26, at Barclay Farmstead (206 Barclay Lane). Enjoy an afternoon of lawn games, refreshments, crafts and, of course, tea! Dress to impress the Queen; you decide if your hat is silly or fancy. Please bring your favorite tea cup. Don't be late for this very important date! Event is open to children ages 5-12 years. Tickets are $15 for 2; $5 each additional person. Please RSVP today to reserve your seat by calling (856) 488-7868. Click here [https://www.facebook.com/media/set/?set=a.241277469399801.1073741839.153392904854925&type=3] for photos of last year's event. Cherry Hill and Camden County have partnered to offer free Chair Yoga and Meditation classes for Township residents ages 55 and up. These classes are designed to help incorporate healthy activities into your day, and are open to seniors of all experience levels. Chair Yoga will take place from 1-2 p.m. Wednesday, April 8 and 22, and again on Wednesday, May 6 and 20. Meditation classes are 1-2 p.m. Wednesday, April 1, 15, 29, and May 13 and 27. Both programs will take place in the N. John Amato Council Chambers (Room 208) at the Municipal Building, 820 Mercer St. Class size is limited; for more information or to sign up, call (856) 488-7868, or email Recreation@chtownship.com [mailto:Recreation@chtownship.com] . The Cherry Hill Alliance on Alcohol & Drug Abuse and Cherry Hill Public Schools welcome renowned researcher Angela Duckworth to Cherry Hill West at 7 p.m. April 16 for a special, free discussion about "Grit" and what it takes to succeed in life. Registration is suggested, but not required. For more information or to register, call (856) 488-7889, or e-mail Alliance@chtownship.com [mailto:] . Click here [http://www.ted.com/talks/angela_lee_duckworth_the_key_to_success_grit?language=en] to watch Dr. Duckworth's "True Grit" TED Talk. Click here [http://www.cherryhill.k12.nj.us/departments/publicinfo/files/AngelaDuckworthFlyer.pdf] for details about April 16. Due to overwhelming demand, tickets are sold out for the 2015 Dancing with the Cherry Hill Stars on Sunday, May 3, at Cherry Hill West. Interested individuals can click here [mailto:info@cherryhilleducationfoundation.com%20] to add their name and e-mail address to a waiting list. Even if you can't attend this year's show, you can click here [http://www.cherryhilleducationfoundation.com/CHEF/DWTS.html] to make a donation by voting online for your favorite dancing duo! Dancing with the Cherry Hill Stars is the Education Foundation's biggest annual fundraiser, and all proceeds are used to fund grant initiatives in the Cherry Hill Public Schools. Cherry Hill Township and the AARP have once again partnered to offer seniors free tax-preparation assistance from 10 a.m. to 2 p.m. every Tuesday and Friday until April 14. No appointments are necessary. All tax-prep sessions will take place in the N. John Amato Council Chambers (Room 208) at Town Hall. Electronic filing and direct deposit are available to help expedite returns. Click here [http://www.cherryhill-nj.com/CivicAlerts.aspx?AID=663] for more information, or call AARP directly at (888) AARP-NOW. For more information on this or other senior-related issues in Cherry Hill, contact Senior Services Program Coordinator Gaye Pino at (856) 661-4800 or gpino@chtownship.com [mailto:] . Bring your recycling and then stay to Celebrate-Learn-Grow, rain or shine, 10 a.m. to 2 p.m. at historic Croft Farm, 100 Bortons Mill Road. Click here [http://www.sustainablecherryhill.org/get-involved/earth-day-festival/] for festival information. If you missed last week's performances of Disney’s "Mary Poppins" at Cherry Hill West, it's not too late to join in on the fun and entertainment! The show opened to rave reviews last Friday, and will continue with three final performances at 7 p.m. tonight and tomorrow (March 27-28) and at 2 p.m. on Sunday, March 29. For more information, call (856) 663-8006, ext., 1224, or click here [http://www.cherryhill.k12.nj.us/departments/publicinfo/files/Mary%20Poppins%20Poster%20ver%202%20crv%20Roof%20IPP%20021115.pdf] for a poster with more information. Congratulations to the cast, crew and everyone involved on a wonderful showing so far - and good luck in your final weekend! 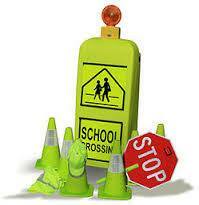 The Cherry Hill Police Department is looking to fill several part-time/substitute vacancies within its complement of crossing guards. Substitute guards are called in as needed to fill one-hour posts in the morning or afternoon school hours at any of over 40 locations throughout the Township. Please direct all inquiries to Sgt. Glenn Charney of the Cherry Hill Police Department Traffic Safety Unit at (856) 432-8857 or gcharney@cherryhillpolice.com [mailto:] , or mail to the Cherry Hill Police Dept., Attn: Traffic Safety/Crossing Guards, 820 Mercer Street, Cherry Hill, NJ 08002. The Cherry Hill Fire Department is once again sponsoring its annual Cherry Hill In-Service Refresher Program for Lifeguards. This program will be held at the William G. Rohrer Center for Health Fitness, 2309 Evesham Road, Voorhees, from 6 to 8:30 p.m. Saturday, May 9 and Sunday, May 17. For details and registration information, click here [http://www.cherryhill-nj.com/CivicAlerts.aspx?AID=713] .